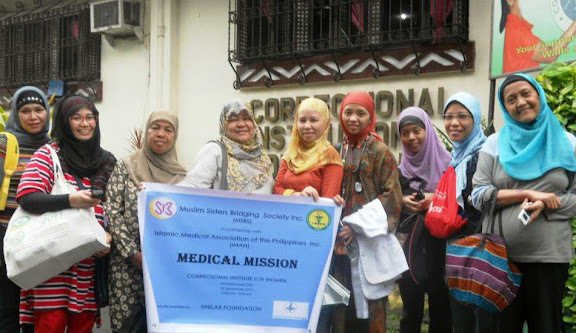 Medical Mission with Muslim Sisters Bridging Society, Inc.
QUEZON CITY, METRO MANILA –Wearing their traditional hijab, Naheeda Dimacisil and Khasmin Ismael attended the weekend celebration of the end of Ramadan at International Ramadan Fair in Quezon City last Saturday. They were joined by at least 100 other Muslims who took time from a long fast to renew ties with their friends and families from the Muslim faith. 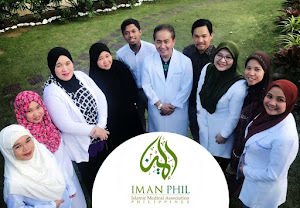 Despite their status in life – Dimacisil is married to an Indonesian imam (priest) while Ismael is single – both are practicing doctors and are in fact, among the few female Filipino Muslim doctors that are in the medical field. 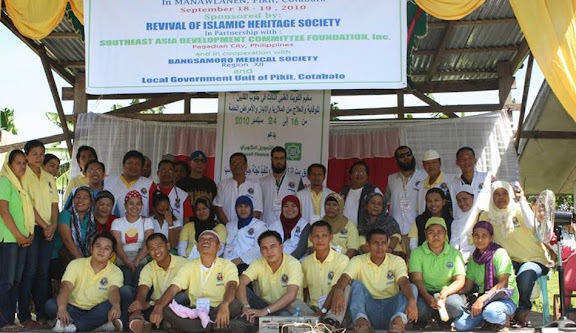 They are also members of the Islamic Medical Association of the Philippines (IMAN), a relatively young group of Muslim medical practitioners. Dimacisil, who grew up in Batangas, said there are many challenges to being a Muslim, even in a country where there are Islamic communities. The constant issue is the stereotype of being a Muslim, as well as the fear that goes with it. “We’re a peace-loving society and we want just as much as any person does, not for greed but for happiness and peace among each other,” Dimacisil said. 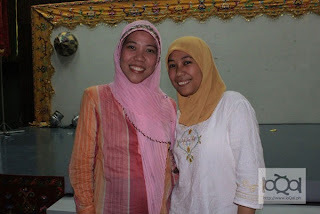 While that is a constant challenge, she said there are also difficulties of being a female Muslim. She is lucky to have been born to parents (her father is a Muslim from Maguindanao while her mother from Batangas converted) who are open to allowing her to choose where she wants to go. “My husband is conservative but he is also open about me working as a doctor. I also want my children to exercise their freedom while sustaining their Islamic identities,” she said. Meanwhile, Ismael said that she is also able to exercise her freedom to become a doctor. 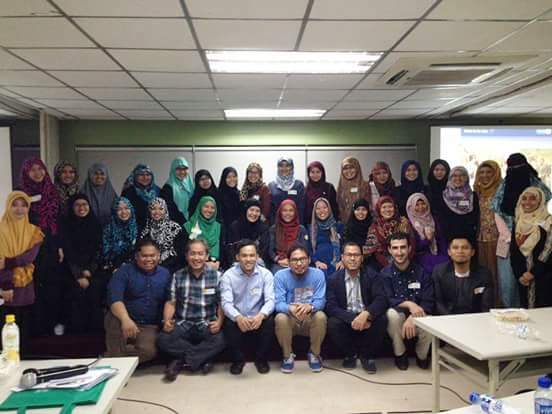 Having grown up in a conservative Muslim family in Marawi, Ismael sought to be independent and moved to Manila to work as a doctor, having stayed in the city for nearly 10 years. She only goes home to her family in Marawi for vacations. Still, she is proud that she also came from a pedigree of medical practitioners, which made them understand why Ismael chose to live in Manila. She said her uncle has put up a medical institution in their province. 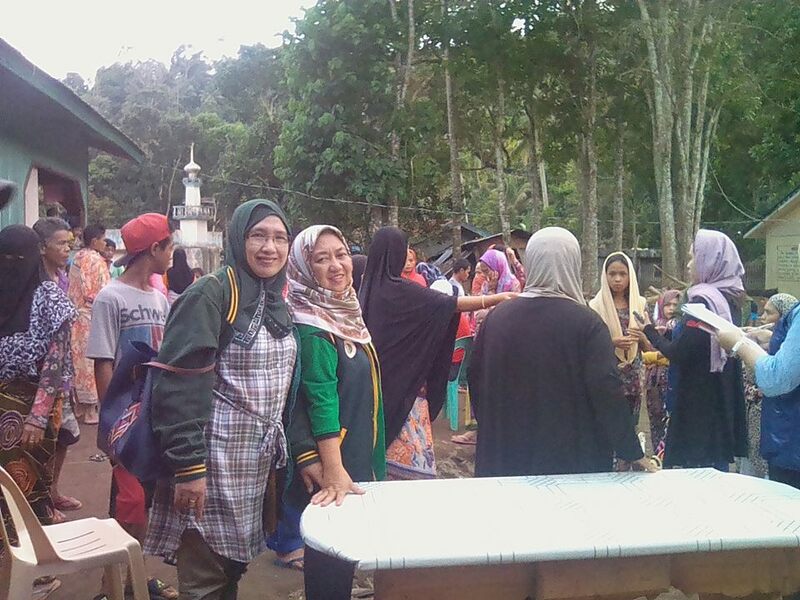 While she maintains her own conservative approach to Islamic practices, Ismael said her independence made her realize what she wants in life and also hopes that other Muslim women find their goals in life. As for their work at IMAN, both Dimacisil and Ismael said they are seeing a growth in the number of Muslims who are taking up courses in the medical field. In fact, many Muslim doctors choose specializations and are able to find good jobs in hospitals in the country and sometimes abroad. “One of the plans of the IMAN is to build a network of specialist doctors so that when we need very specific medical knowledge, we’ll have list of experts to call,” Ismael said. Ismael added that while some Muslim doctors get jobs abroad, they also come back to help their local counterparts. However, she stressed that these doctors are also in demand in certain countries, particularly in the Middle East and Malaysia where there are better facilities. “Of course, they also come back because they want to help their countrymen,” Ismael said. According to Dimacisil, having this network would also help them in conducting their medical missions, especially among rural folks. Despite being Muslims, they do not choose the communities based on religious backgrounds, but rather on their real needs. In fact, they have conducted medical missions in several Metro Manila areas immediately after the disastrous Typhoon “Ondoy” last year. “Our mission is to help anyone in need. We hope that what we do will show that we are for peace,” Dimacisil said. loQal.ph is a website owned and operated by Filquest Media Concepts, Inc. It works under the principle of giving voice to the voiceless, empowering Filipinos and uplifting the image of the Philippines by highlighting its unique culture. To do this, the loQal.ph team produces stories, video, photos and other multimedia content types to inspire and celebrate Filipino achievements, ideas, products and places. IMAN Doctors serving the Muslim Ummah. 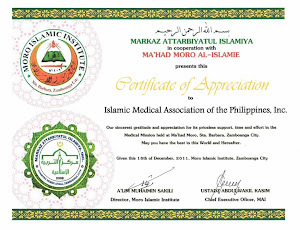 IMAN-Islamic Medical Association of the Philippines, Inc. was conceptualized in July 2007 by a group of Muslim Physicians who saw the need for the creation of an organization catering primarily to the health needs of the ever-expanding community of Muslims in the country not only in Mindanao but including Luzon and Visayas. 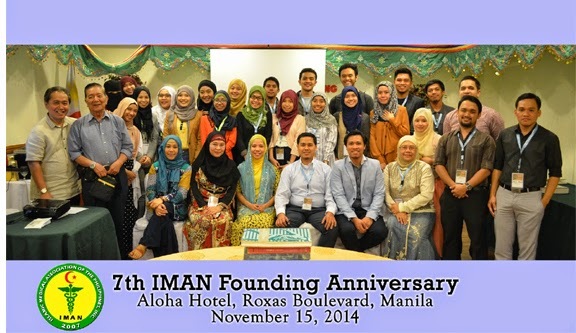 IMAN is aimed at becoming the central organization of Filipino Muslim Physicians nationwide and abroad. socially responsive, imbued with Islamic teachings and values, united in the promotion of health and well-being, and highly dedicated to the service of fellow men. To establish a network of Muslim physicians and form linkages with other groups and associations in both medical and non-medical professions; working towards a healthy and progressive Ummah through education, service, and empowerment for the greater glory of Allah (SWT). 2. 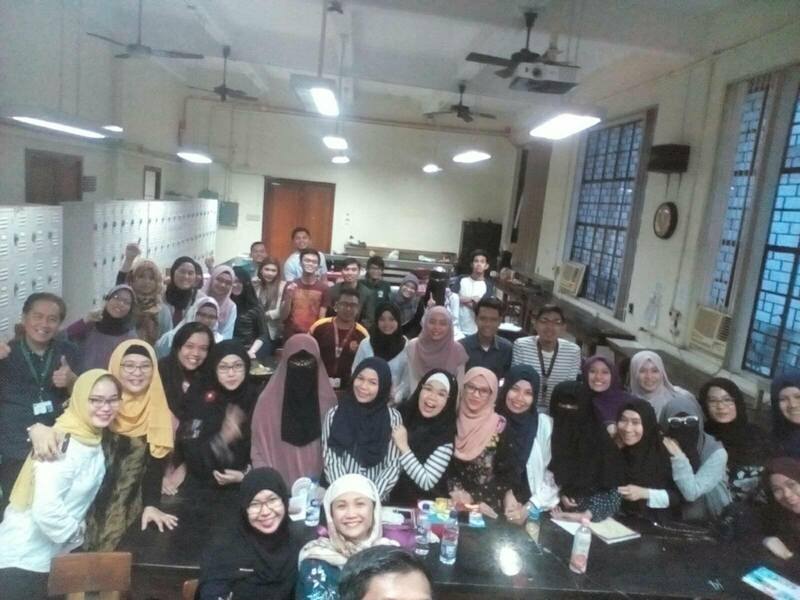 To promote better understanding of Islam as applied to the healthcare delivery system by organizing for continuing medical education (CME) activities with Islamic perspectives. 3. To encourage healthcare professionals to apply Islamic values and teachings in the conduct of their professions. 4. To establish professional linkages with other medical and non-medical organizations, both national and international, that will serve our mutual interests. 5. 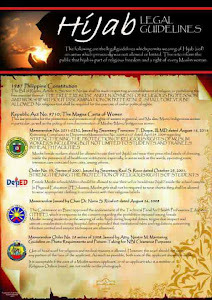 To actively engage with agencies of the national government in peace-building and social development. 6. To organize outreach programs for the community such as medical and surgical missions and lay fora. 7. To establish an effective and efficient referral system among its members. 8. To assist health professionals and medical students in career development through established linkages and scholarships. Life Member - Any regular member who has been in good standing with the association for a minimum of five (5) years and having paid the required due as approved by the Board.